Measures 9in. L. x 1in. 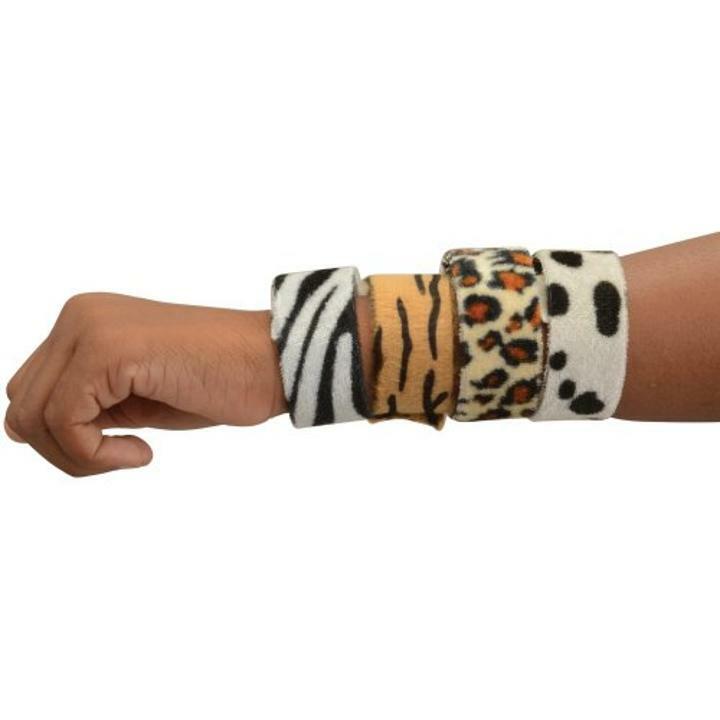 W.
Celebrate your style with these animal print slap bracelets!Simply "slap" the bracelet on your wrist to have it wrap around, giving your fashion sense a walk on the wild side. Perfectly sized for goody bags, these bracelets are an ideal giveaway for any event! L: 1.0 in. W: 4.0 in. H: 4.25 in.